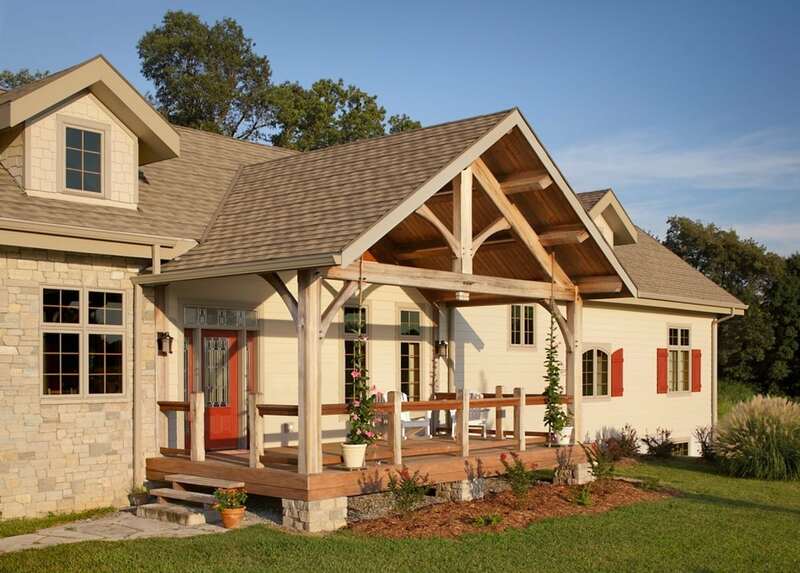 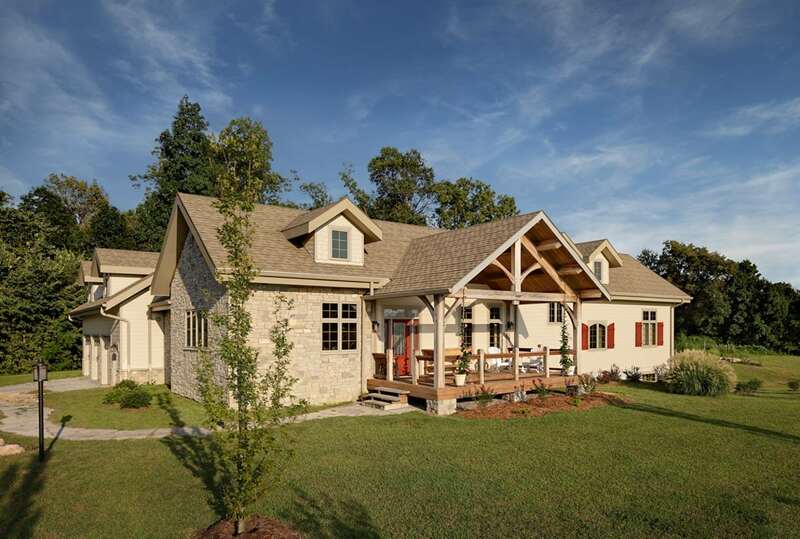 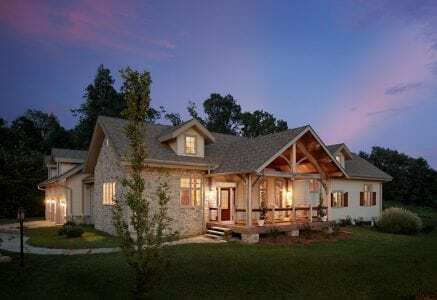 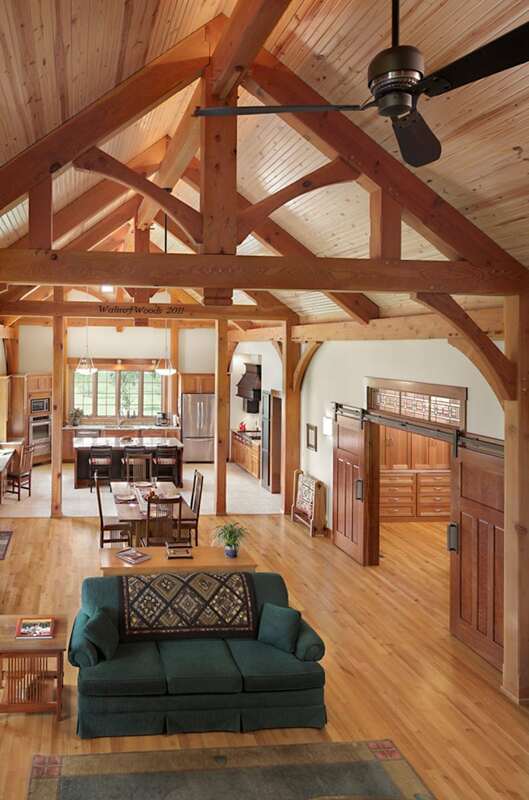 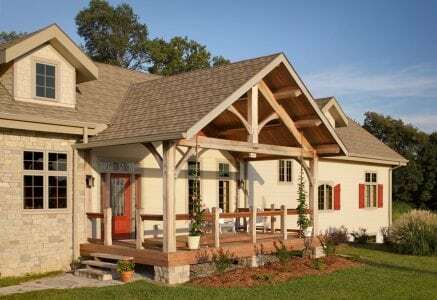 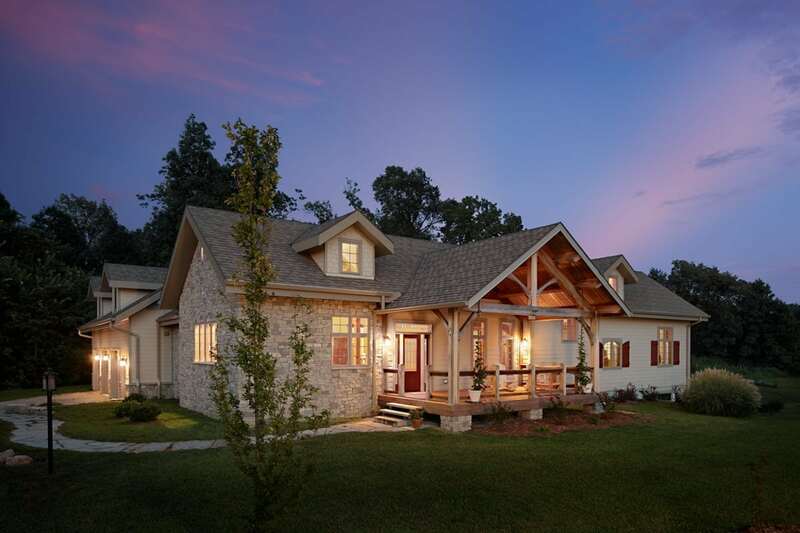 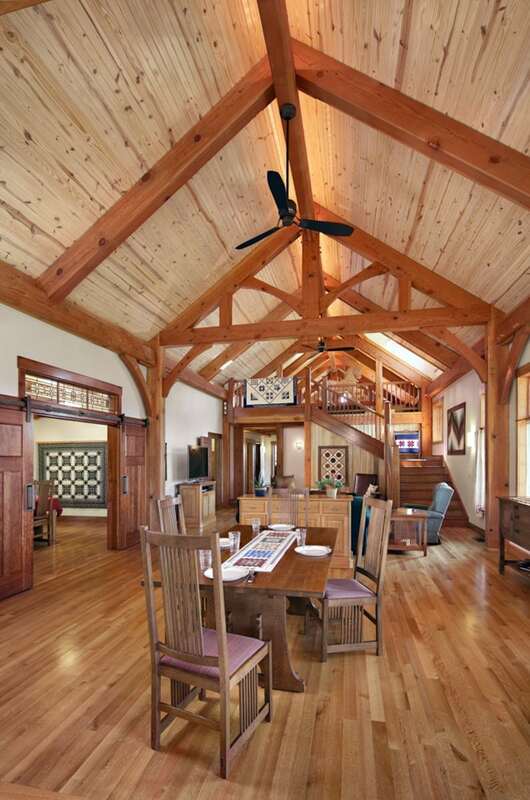 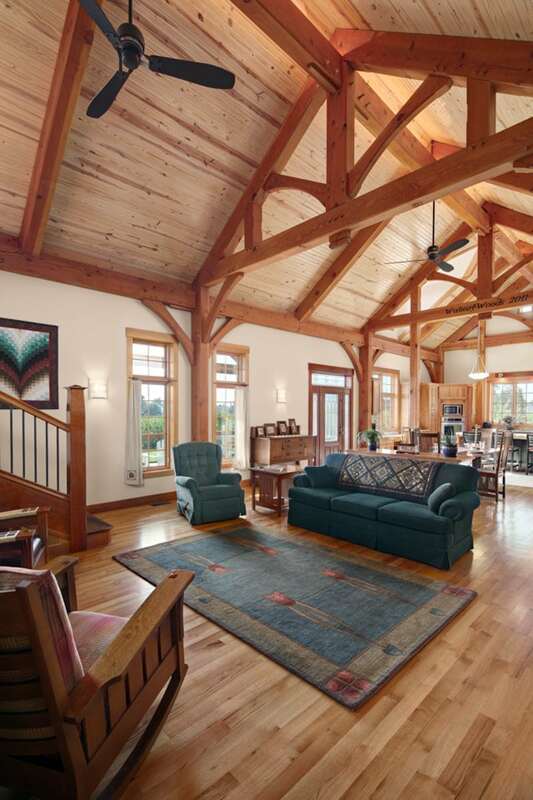 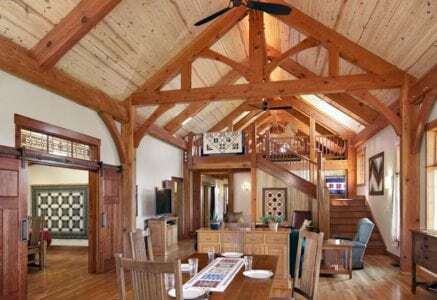 This one-and-a-half-story timber frame home sits on a family farm in Paducah, Kentucky. 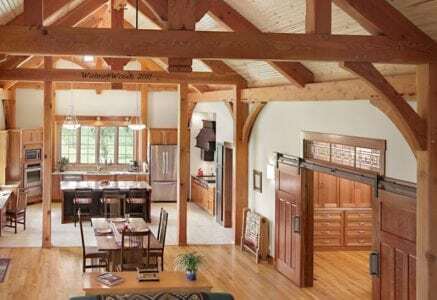 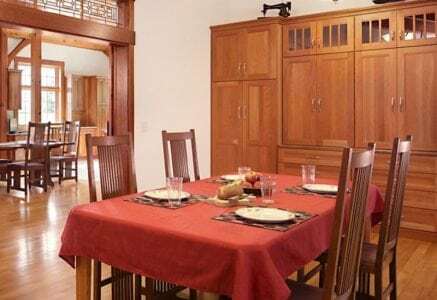 The home’s main level has a long rectangular footprint, with a large, open great room, kitchen and hobby space at one end and bedrooms at the other. 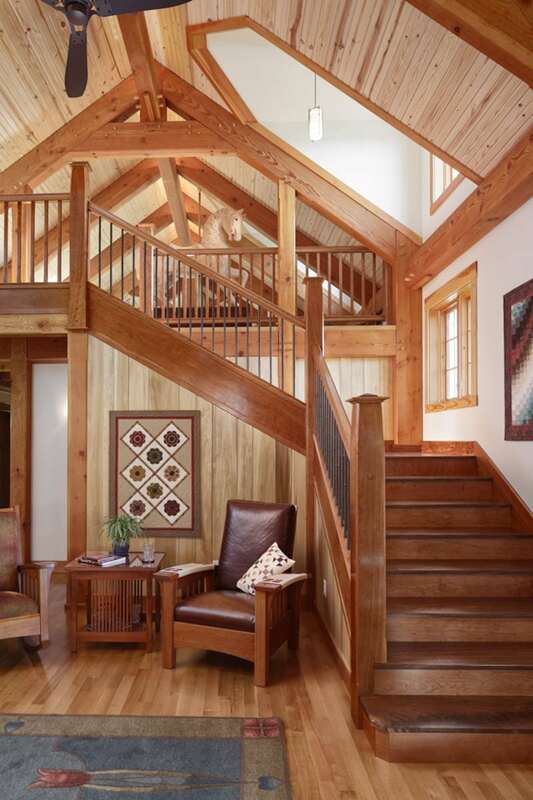 A loft above the guest rooms utilizes the vaulted ceilings created by custom timber bents that repeat down the corridor. 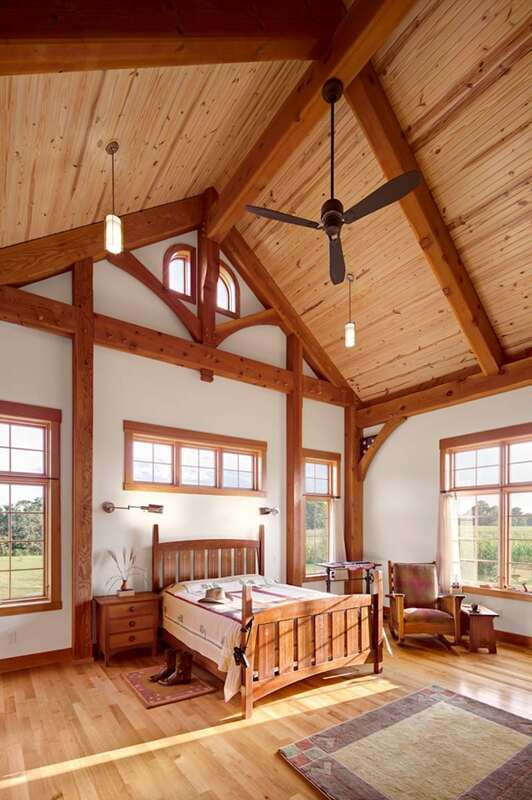 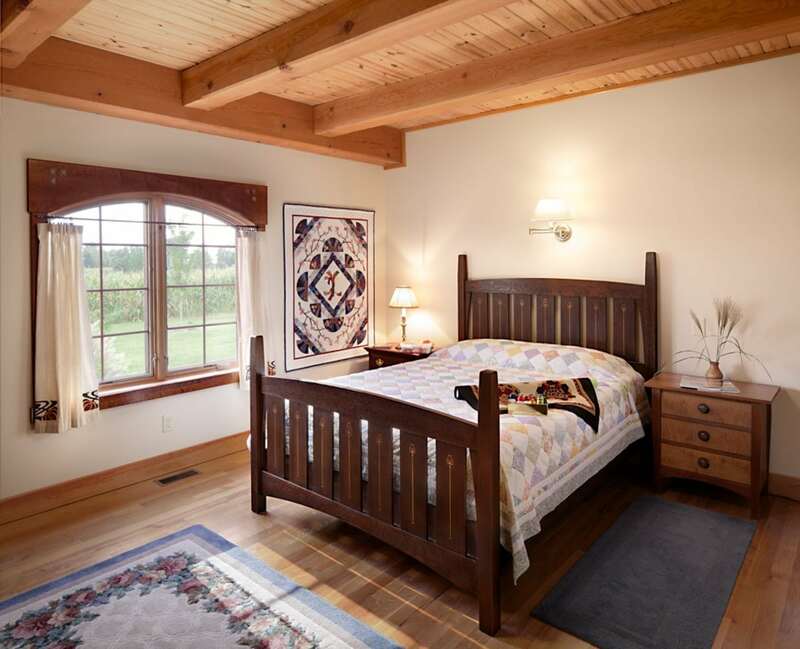 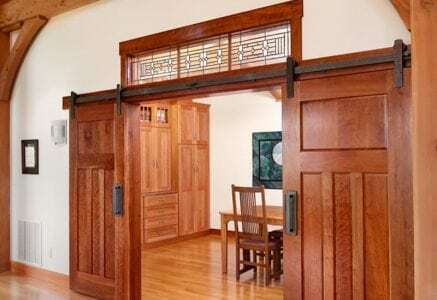 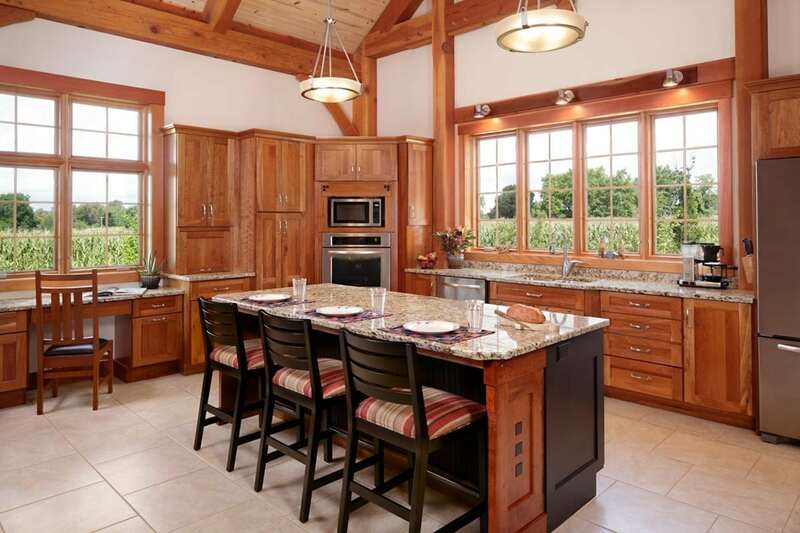 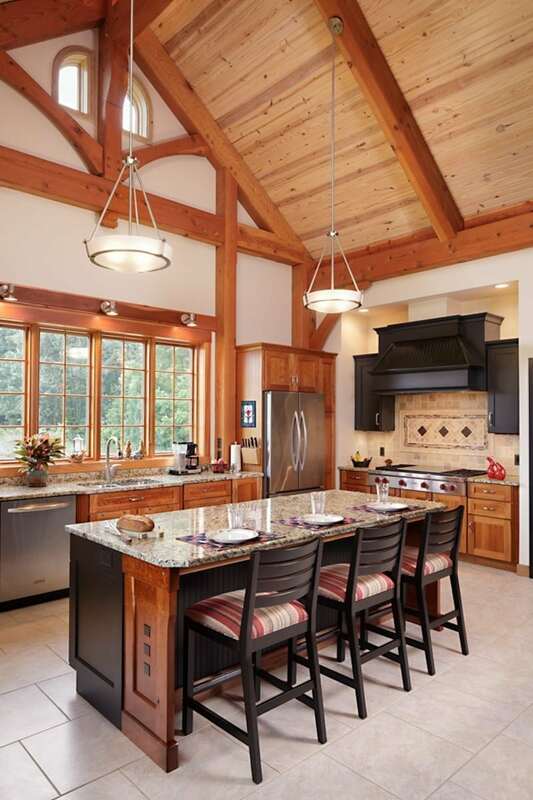 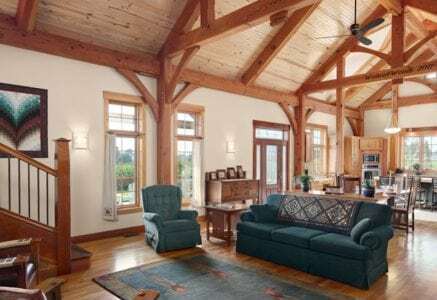 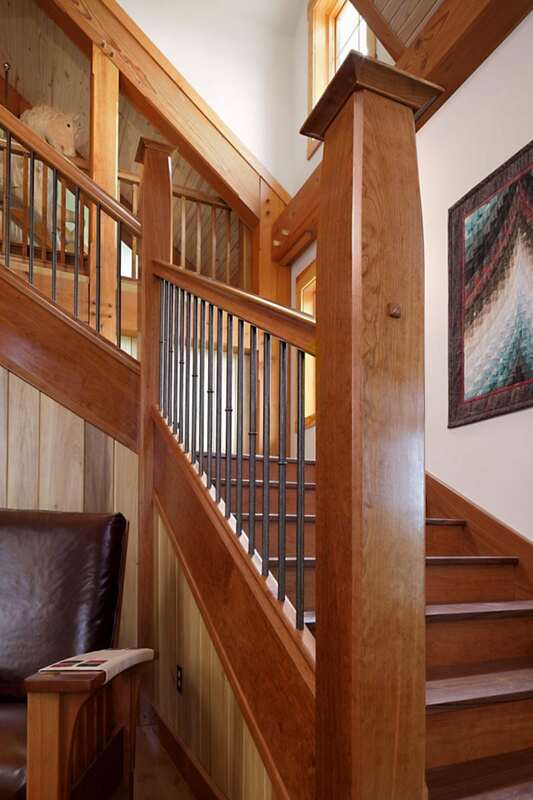 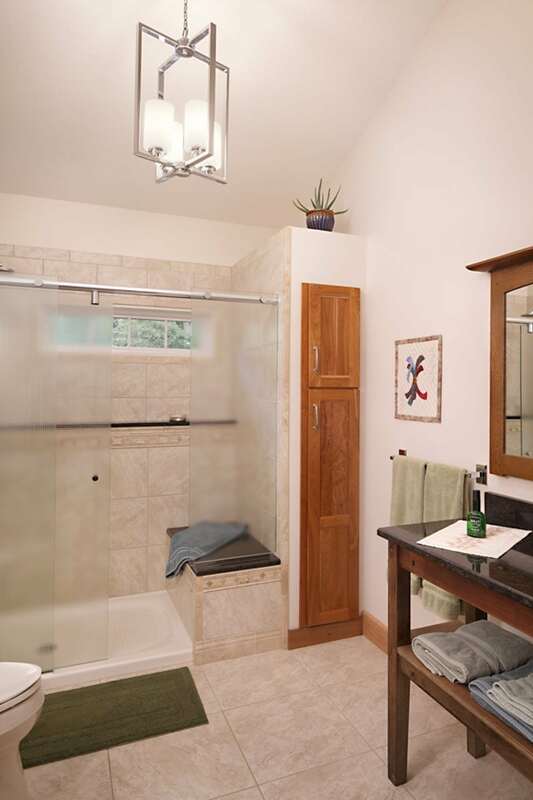 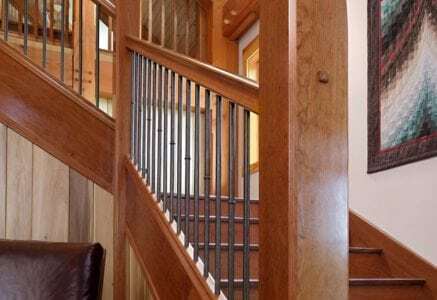 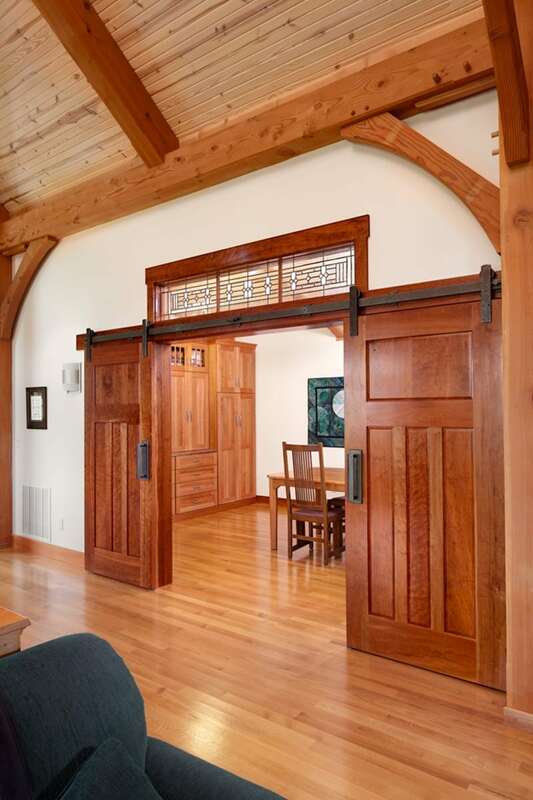 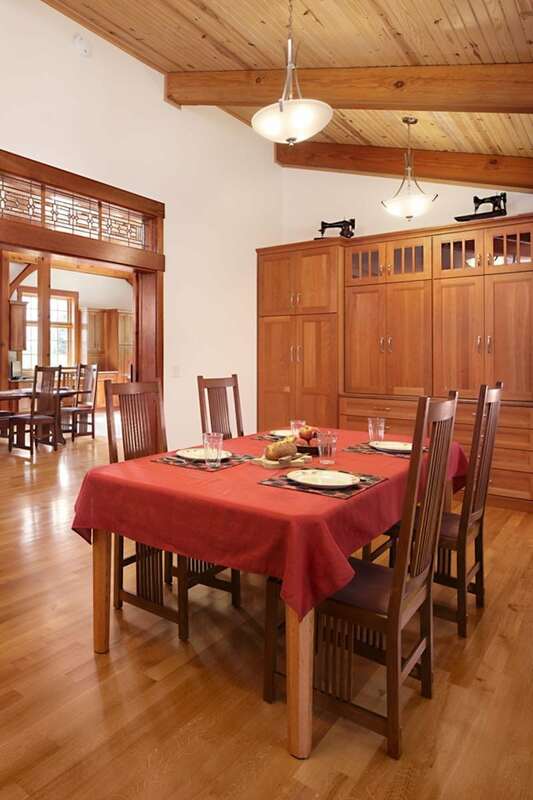 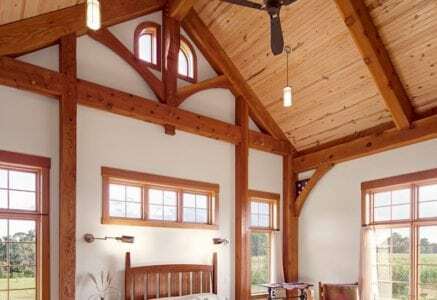 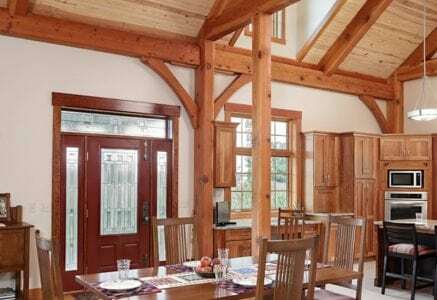 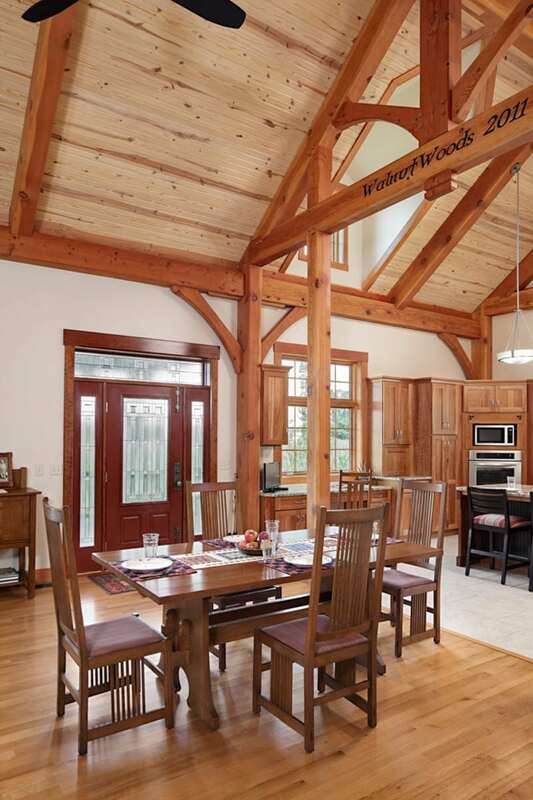 Every detail, from the look of the timber framing to the handcrafted furniture, was inspired by the homeowners’ love of woodworking and Craftsman style. 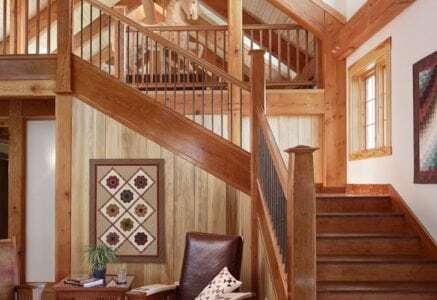 While his handiwork is seen throughout the home, his wife gets an entire room with built-in storage to dedicate to her own passion – quilting.